Simon Fitz, a member of the boy’s choir „Wiltener Sängerknaben“ for 19 years, volunteered in a school in Ugari/Kenya between August 2007 and August 2008. After his return the choir decided to help St. Juliane Ugari Mixed Sec. School with a charity concert. 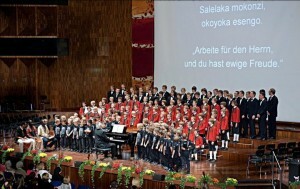 This concert took place on 23rd October 2009 in the hall of the Congress Innsbruck/Austria. 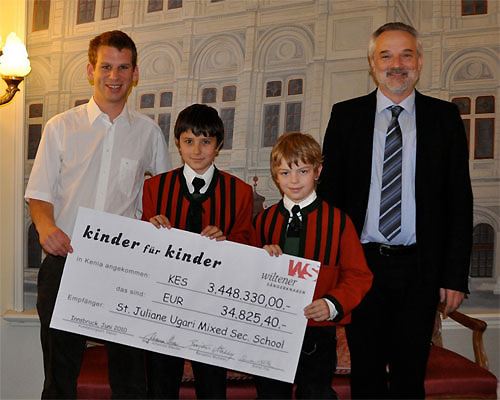 Through the project “Kinder für Kinder” (Children for Children), the choir managed to collect the unbelievable sum of € 34.825,40 which equals KES 3.448.330,00. 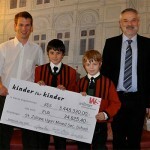 Simon travelled back to Kenya to hand over the money to Mr. Rabet Onyango Abidha, the Principal of the school. 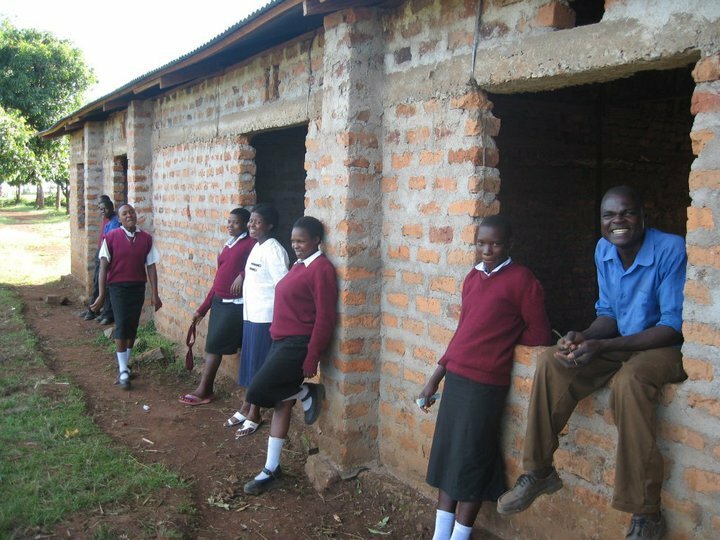 The help from Tyrol brought success – the Principal was able to build classrooms, an administration block, dormitories, a kitchen and more. The development of the school is also seen in the number of students. While Simon was there, only 28 students visited the lessons. By now the school counts over 300 attending students! 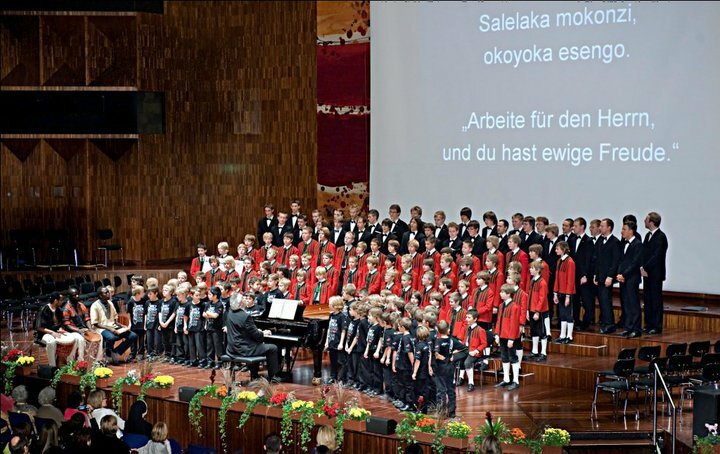 Due to the rising demand, the school needed to build additional infrastructure, therefore a second charity concert was performed. For the students of Ugari, a high quality education is an important step towards a better life.